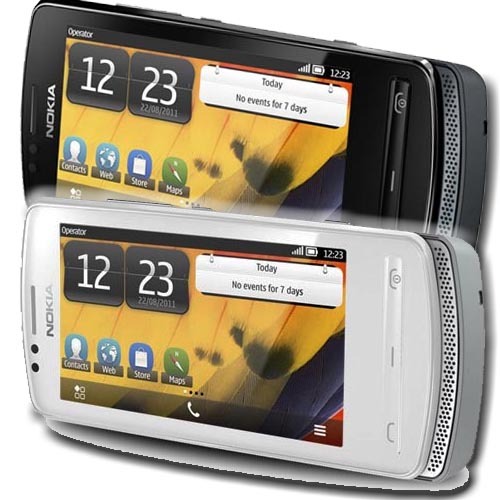 Nokia 700 Symbian Belle Price in India -Rs. 16,500 onwards. Nokia 700 Price in Mumbai -Rs. 16,500. Nokia 700 Symbian Belle Smartphone Review. Nokia 700 Comes with AMOLED 3.2 inch Touchscreen and 16m Colors with 360 x 640 Pixels, 2GB Internal Memory its expandable up to 32 GB, 5MP Camera with LED flash, The Camera resolutions 1944 x 2592 pixles, Symbian Belle OS, Weight - 96G, Dimensions 110.0 x 50.0 x 9.7 mm, Stereo FM Radio, Music player, Audio streaming, Video fromats - VP6, VC-1, WMV 9, MPEG-4, Flash Video, 3GPP.